Someone is playing a mean trick on her. She seems to be in a reality show. Everyone's in historical costume. When Edmund, Lord Langhay, tells Molly it's 1809, she doesn't believe it at first. 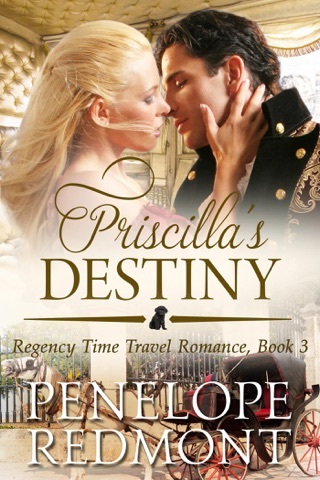 Then she saves Edmund's life, and she's forced to believe it: she's in Regency England. Molly soon becomes desperate to return to her own time. She's falling in love with Edmund, the handsome, aristocratic rake, and she can't allow that to happen. She has good reason not to trust handsome men. Meanwhile, in present day Sydney Australia, Molly's sister Priscilla learns that her sisters have been sent into the past by their stepmother, Devon. She realizes that she may be the only person who can save her sisters, and their father. To do that, she will need to travel into the past herself. 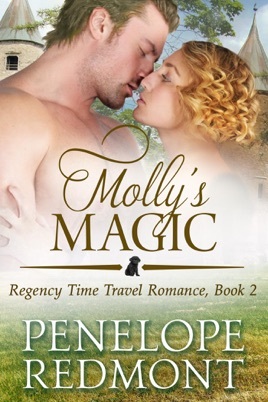 Molly's Magic is the second novel in our time travel Regency romance trilogy. The first novel, Tara's Enchantment, is available now. Both novels can be read as standalones.